Hasbro recently released these images of their next batch of figures, after official completion of Titans Return. Apparently the next line will be called Power of the Primes. I don’t know if I care for that name, but these rendered images are looking awesome! Check it out. These are beautiful renders, and the images are big enough to double as wallpaper at 1920 x 1080. Very nice job Hasbro! 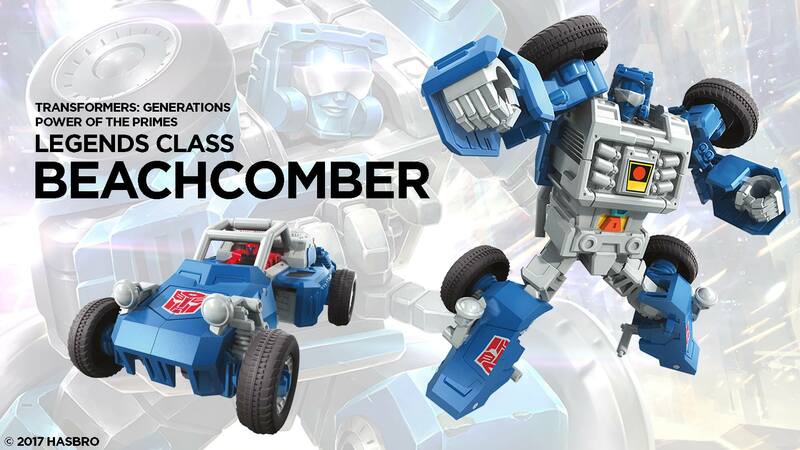 Beachcomber – looking great. This figure will complete the last of the G1 Season 2 Mini-Bots. Both modes look good, and a Titan Master can ride in alt mode. Must get for me. 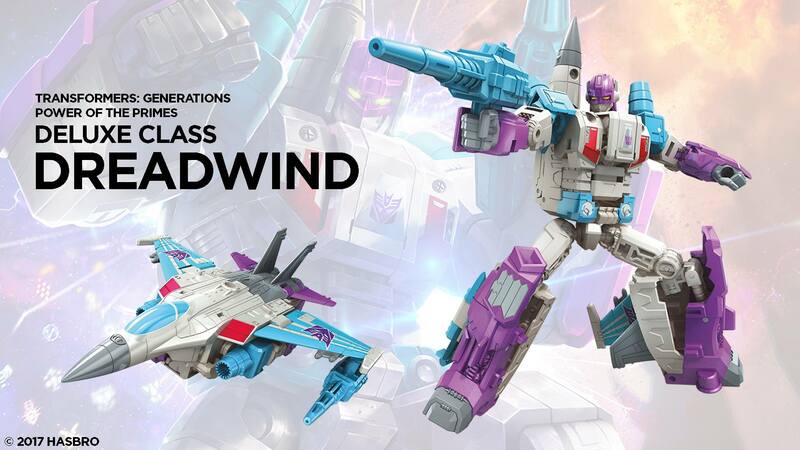 Dreadwind – it’s good to see Hasbro bringing back more Powermaster characters. This mold is really just a re-worked Aerialbot fig from Combiner Wars, but they did enough changes to justify this release. Plus they also plan to release Darkwing. And if you’re the G1 purist asking if the jets will combine into a super jet -the answer is YES! Hasbro did not forget their roots. I saw a vid of someone on YouTube doing this. The super jet does look kinda awkward, but I’m not sure the guy did it right. Another must get for me. Jazz – I love Jazz. Don’t know how many times I mentioned that on this blog, but Jazz was my favorite Autobot growing up in the 80s. Any Jazz figure released in the CHUG-verse is an automatic purchase for me. Now the only question is how he will fare against Reveal the Shield Special Ops Jazz. 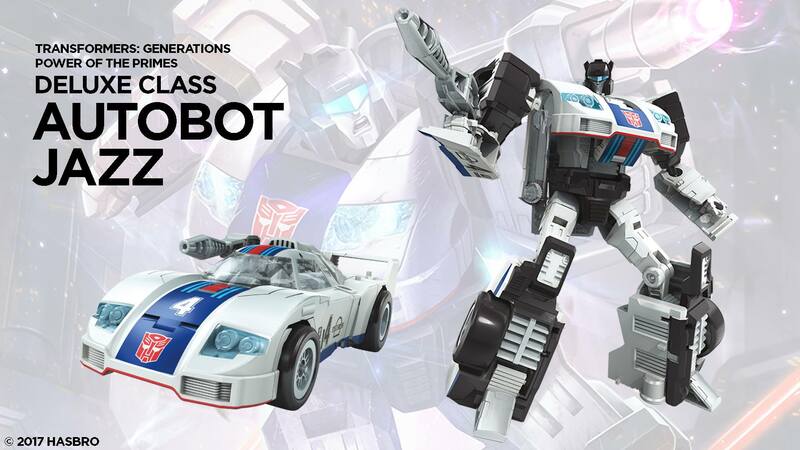 I know Hasbro can’t call him Jazz on the package for licensing reasons, so they go with Autobot Jazz. I never liked that. Calling him Special Ops Jazz was much better. 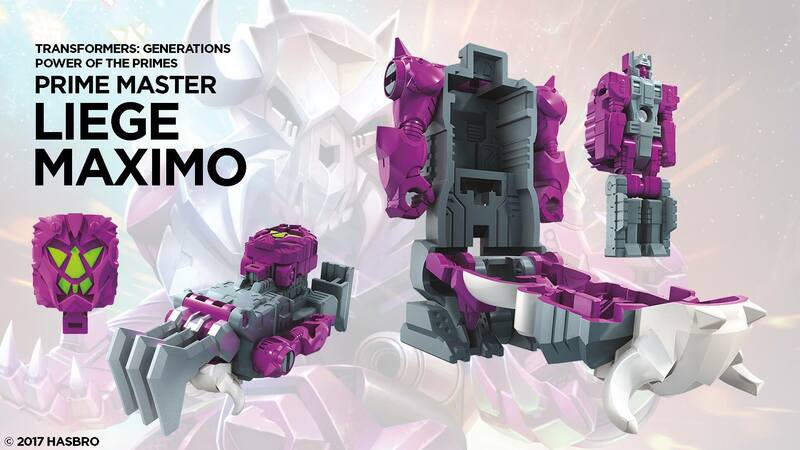 Liege Maximo – I normally don’t care for Titan Masters as an individual purchase, but this guy is obviously Skullgrin so I might make an exception here. The name Liege Maximo may have its origins in a Marvel or IDW continuity. 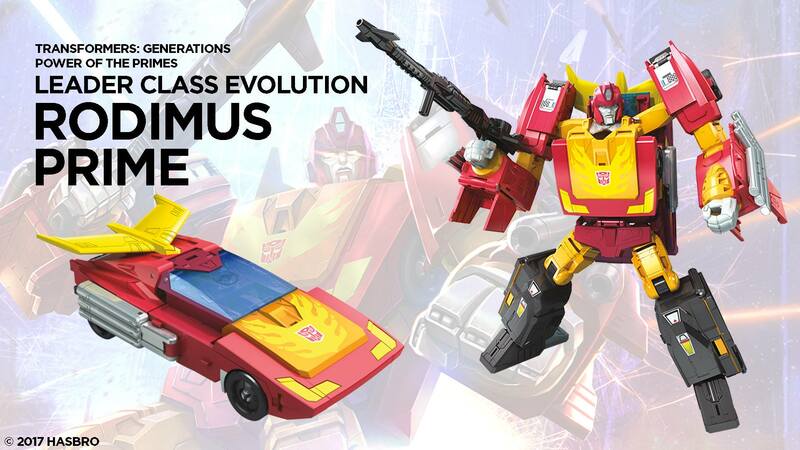 Rodimus Prime – Finally! A worthy update of everyone’s Autobot leader not named Optimus Prime! 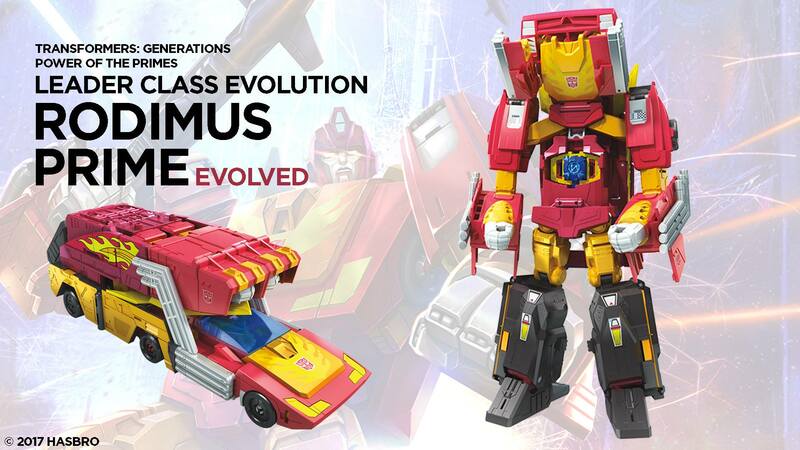 This is the leader class Rodimus Prime we have been waiting for. This figure is both Hot Rod and Rodimus Prime, kind of like the Classics Rodimus figure with the FansProject Protector add-on kit. This is the figure that everyone will be buying. At leader class, I guess he won’t scale so well with TR Galvatron. 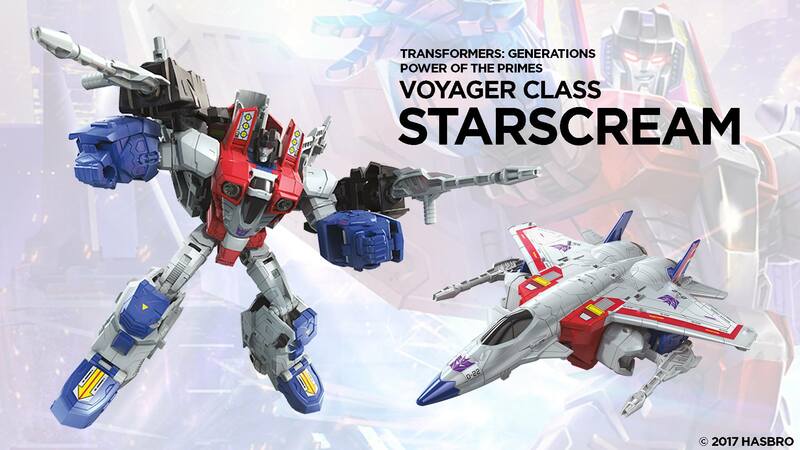 But maybe that means a leader class Galvatron is coming? I hope so. Starscream – I love Starscream. At voyager class he is finally the right size. They’ve made voyager class figures for the Movie-verse, but this may be the first in CHUG-verse. And a F-22 Raptor no less! Robot mode looks awesome, but the jet mode may have a lot of bulk underneath. I’ll reserve final thoughts for when I see the figure. So yeah, all are required purchases for me. Maybe not Liege Maximo, but you never know. Here’s a good look at these figs at SDCC. Man I wish I could go to SDCC. I will get there one day. It’s time for Power of the Primes! Transform and Roll Out!